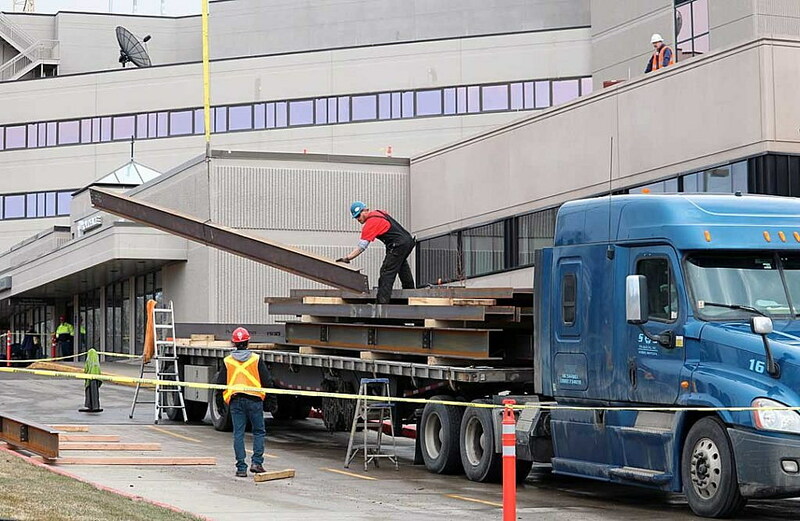 Crews hoisted steel beams onto the roof of St. Patrick Hospital over the weekend, marking the start of a construction project that will expand the facility’s International Heart Institute. Stacy Rogge, the hospital’s director of communications and external affairs, said the $2.7 million project will add 2,800 square feet to the roof of the hospital’s third floor. The addition will include six exam rooms, two procedure rooms, offices and storage. She expects construction to be completed by the summer. The International Heart Institute brings together a recognized team of cardiologists, heart surgeons, imaging specialists, nurses and researchers to perform advanced cardiac procedures, and search for new and improved ways to treat heart disease. With its outreach programs, the institute has clinics located throughout western Montana, including Missoula, Hamilton and Butte. The services include a full spectrum of cardiac care, including cardiology, and open heart and vascular surgeries. It also offers programs for congestive heart failure, women’s heart health and men’s heart health.